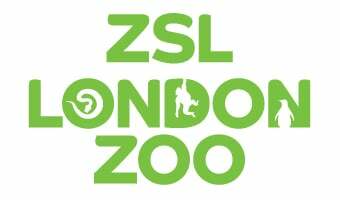 Zookeepers at ZSL London Zoo dusted off their clipboards, calculators and cameras as they prepared to count the animals at the Zoo’s annual stocktake. Caring for more than 600 different species, ZSL London Zoo’s keepers faced the challenging task of tallying up every mammal, bird, reptile, fish and invertebrate at the Zoo – counting everything from a troop of inquisitive squirrel monkeys to Critically Endangered Sumatran tigers and Bactrian camels. 2018 saw the arrival of many new animals at ZSL London Zoo: brothers Paco and Poco the tamanduas were born in the Zoo’s Rainforest Life exhibit, twelve Humboldt penguin chicks hatched at Penguin Beach and rescued leeches Buffy, Angel and Spike arrived at the Zoo - all of which will be added to the census. While for some zookeepers the task is relatively easy, imaginative tactics are used by others to ensure every resident at the Zoo is accounted for - the B.U.G.S team cheat and count bee colonies as one, instead of tracking hundreds of individual bees. A requirement of ZSL London Zoo’s license, the annual audit takes keepers almost a week to complete and the information is shared with other zoos around the world via a database called ZIMS (Zoological Information Management System) where it’s used to help manage the worldwide conservation breeding programmes for endangered animals.